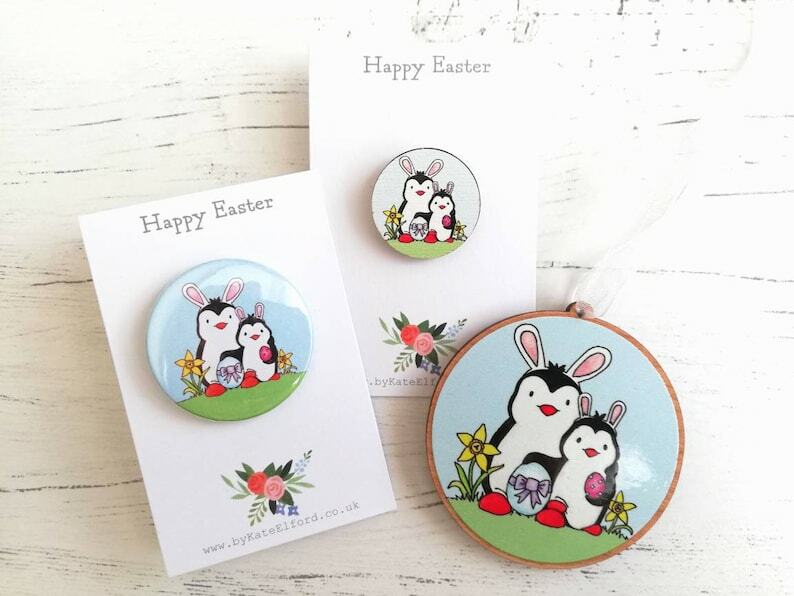 These Easter penguins are perfect as a little Easter gift or decoration. 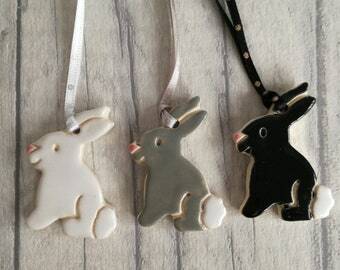 Great to hang on an Easter tree or to wear your penguins. The ornament is wooden and is strung with white organza ribbon. 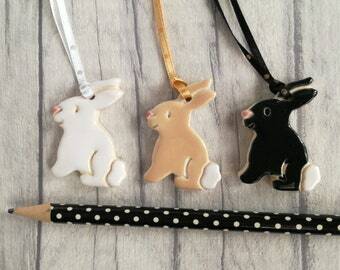 It measures approximately 6.5cm, and is plain on the back. 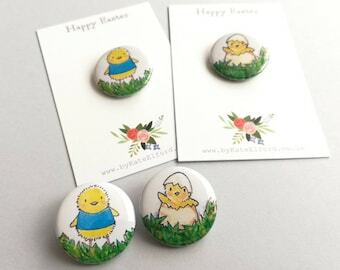 The pin is wooden with a rubber clutch back, it is displayed on a card that says Happy Easter. It measures approximately 2.5cm across. 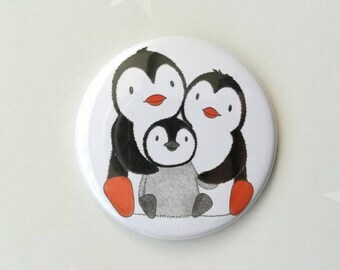 Penguin bunny badge is metal backed and sent on a Happy Easter display card. It measures approximately 3.8cm across. 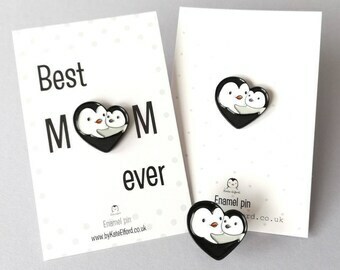 Penguin and chick wooden pin brooch, Mum and baby cute little penguin badge. I had said I would come back in this shop. Great badges and customer service. All items are very carefully packaged for posting. Prints are packed in a cello wrap and posted in a card backed envelope. 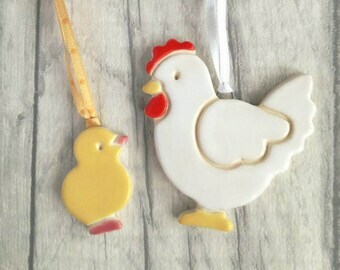 Ceramics and crafts are all packaged securely and safely. We don't offer a gift wrapping service at this time. Overseas orders, delivery times will vary. 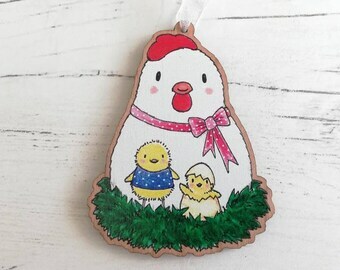 If you would like a new item to be made for you please allow plenty of time. Ceramics especially are a slow process from making to posting so please be prepared to wait. Please just contact us for a time and cost estimate. Many of the items in the shop are miniature. Please check the sizes in the listings when ordering, if you are unsure just ask for any specific details needed. In the unlikely event that you receive a damaged item, please contact me straight away and also send a photo. Please check your address is correct before ordering, I am unable to accept liability for an item not arriving due to an incorrect address. 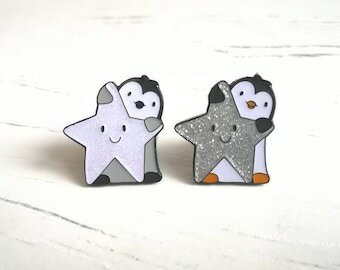 Little penguin and star pin. 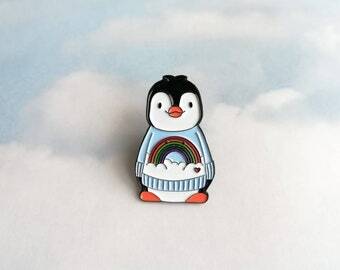 Penguin glitter enamel pin.